First responders from across Canada are arriving in Fredericton for the regimental funerals of Constables Robb Costello and Sara Burns Saturday afternoon. First responders from across Canada are arriving in Fredericton for the regimental funeral of Constables Robb Costello and Sara Burns on Saturday afternoon. 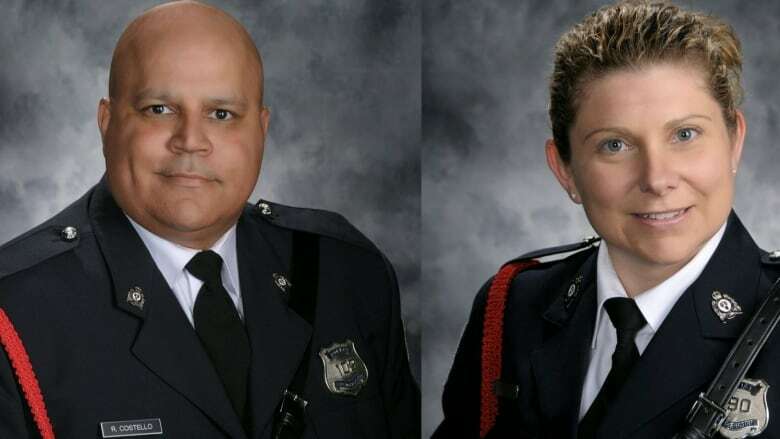 The two officers were killed in the line of duty along with two civilians on Aug. 10. Const. 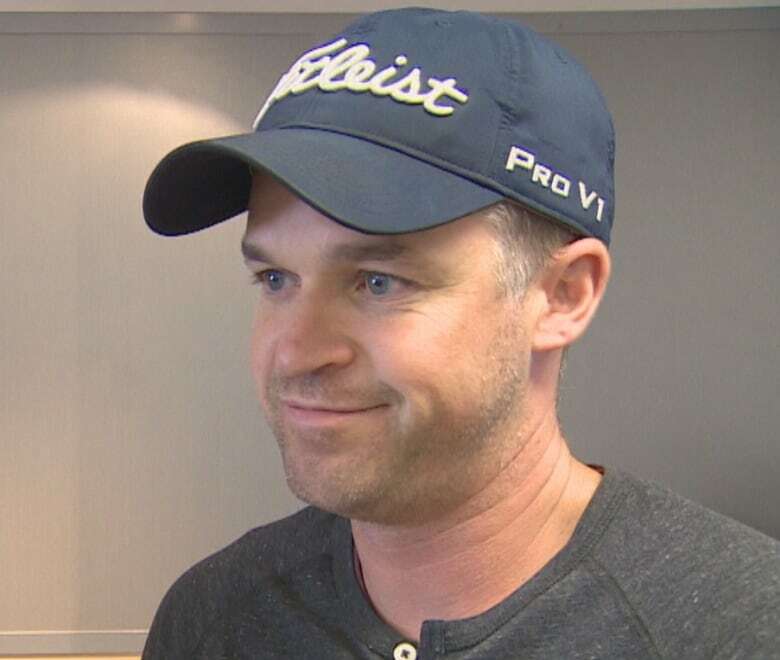 Robb Hartlen, a former Fredericton resident and Kensington, P.E.I., police officer, helped organize rides into the city for police officers arriving at the airport Friday morning. "I went to the academy with one of the fallen officers," said Hartlen, a former auxiliary police officer in Fredericton. "I spent a lot of time in the car with one of the other ones. This is just a way I can help out. I want to help the family. 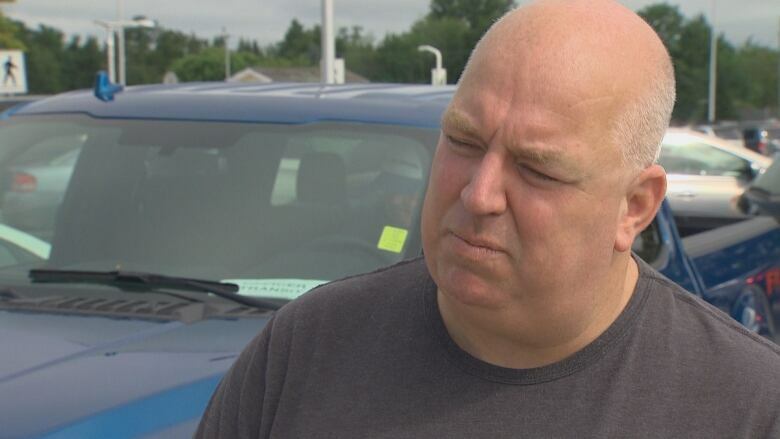 I want to help the community, I want to help the rest of the Fredericton officers that are hurting and going through what they're going through." Local Amanda Doucette used a vacation day to taxi visiting first responders from the Fredericton International Airport to hotels. "I mean, there's only so many ways you can help," said Doucette, who saw a request for volunteers on social media. "So I figured I can either do laundry, or I can help out and transport some officers." Costello, 45, and Burns, 43, were shot and killed responding to a call of shots fired at an north-side Fredericton apartment complex at 237 Brookside Dr.
Matthew Vincent Raymond, 48, has been charged with four counts of first-degree murder. 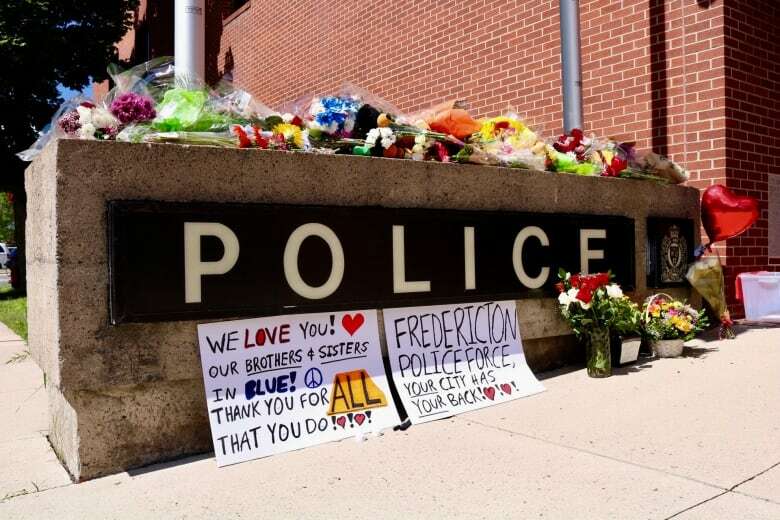 An outpouring of support followed the slayings of the two officers, and a makeshift memorial was quickly set up in front of the Fredericton police station. The police have not said anything about a possible motive for the shootings, which also claimed the lives of Donnie Robichaud, 42, and Bobbie Lee Wright, 32. Nick Gregory, a police officer in Kingston, Ont., flew in for the funeral. Gregory, who is originally from St. Stephen, said the Fredericton killings prove that such shootings aren't limited to big cities like Toronto. "A lot of these tragedies happen in small towns all through the United States and all over the world," he said. "It could happen anywhere." Hartlen said there's a deep connection among police officers, even if they're not serving together, which makes tragedies like the Aug. 10 shootings more significant. "It's a connection that, until you work with them or you join that profession, sometimes it's difficult to explain that bond," said Hartlen. "It's a bond made by the badge. It's a brotherhood and a sisterhood no matter where you are in the globe. So they're showing that outpouring. They're showing that support." The regimental funeral for Costello and Burns will be held Saturday, starting at noon with a parade from Fredericton High School, running along Priestman, Regent and Montgomery streets to the Aitken University Centre. The service at the Aitken Centre is not open to the public, but it will be live streamed at the Grant Harvey Centre and Hope City Church. The funeral procession will begin at noon at Fredericton High School along Priestman, Regent and Montgomery streets before arriving at the Aitken Centre. CBC News will broadcast the funeral procession and service from noon until about 2 p.m. on both CBC News Network and the main network, on radio and online at cbc.ca/nb, and on Facebook Twitter and YouTube.